“InterChem” was represented at the world's largest event for pharmaceutical professionals - CPhI Worldwide 2018. From 9 to 11 October, the annual largest pharmaceutical platform, CPhI Worldwide, was held in Spain, Madrid. This exhibition covers the full range of the pharmaceutical industry, presenting products and services that allow for the full production cycle. CPhI Worldwide gives you the opportunity to establish new business contacts, meet with existing partners from different parts of the world and keep abreast of modern trends in the development of the pharmaceutical industry. CPhI Worldwide, the world's largest pharmaceutical trade show, hosts six individual pharmaceutical events covering all sectors: from active pharmaceutical ingredients to machines, packaging, outsourcing and biopharmaceutics. The exhibition brings together more than 45,000 pharmaceutical professionals from all over the world and more than 2,500 international exhibitors and is a unique platform where you can find the right partners for making cost-effective pharmaceutical decisions in just three days. 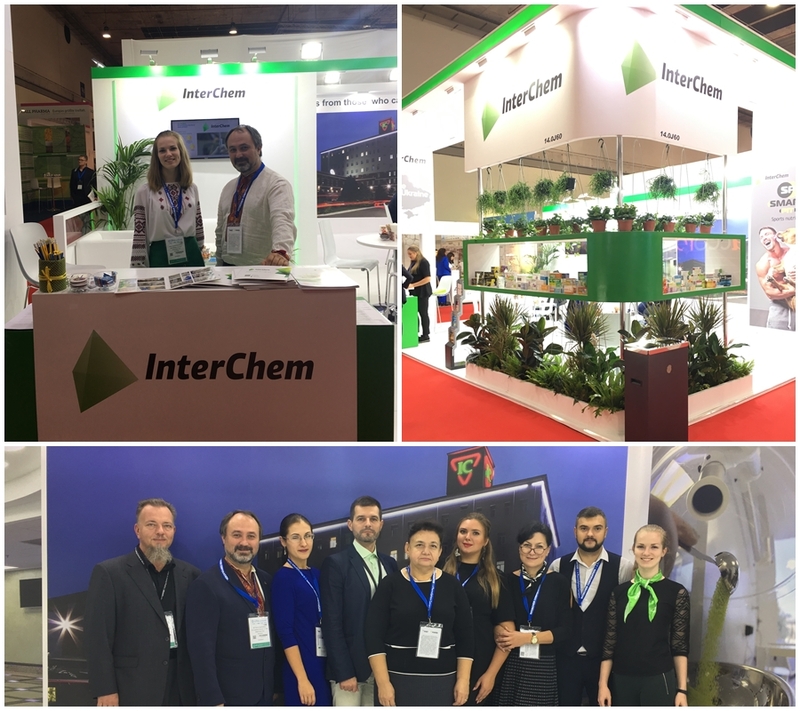 For “InterChem”, presenting its products in the international arena, cooperation with leading enterprises and mutual exchange of experience are the primary goals and the key to moving in the right direction. Live content, the reaction of visitors and interviews with participants can be seen in the video reviews prepared by the press service of this pharmaceutical exhibition. In 2019, CPhI Worldwide will be held in Frankfurt, Germany.